The Stark Raving Viking: Lyme Disease and West Nile Virus Manufactured? Lyme Disease and West Nile Virus Manufactured? Warning: images in above video to some, might be offensive. GARDEN CITY, N.Y. – Hannibal Lecter, the fictional villain in "Silence of the Lambs," said it sounded "charming." Author Nelson DeMille made it the centerpiece of his 1997 thriller about deadly viruses and hidden treasure. Since the infancy of the Cold War, Plum Island has been the site of an animal disease laboratory; access is limited to scientists, support personnel and, on rare occasions, invited guests. 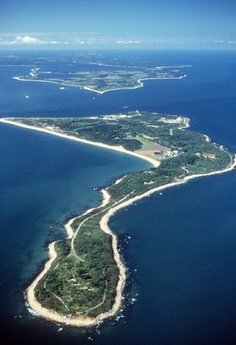 Because of its remote location a mile and half off the eastern tip of Long Island's north fork, it frequently has been the target of rife speculation about what really goes on there. 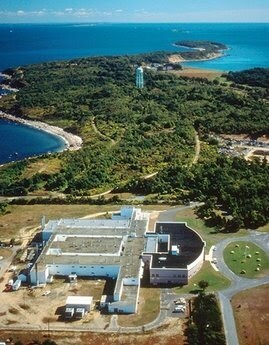 The general public could someday get access to the 840-acre pork chop-shaped oasis now that the federal government is moving its animal disease research functions to a new lab in Manhattan, Kan. With a "For Sale" sign about to go up at Plum Island, the General Services Administration is seeking community input on what should be done with the property. A hearing was held Wednesday in Connecticut and another is scheduled for Thursday on Long Island. Besides the laboratory, the island is home to a defunct U.S. Army base and a charming little lighthouse that looks out onto Long Island Sound. And, as Agent Clarice Starling told Lecter: "There's a very, very nice beach. Terns nest there." DeMille, whose 1997 book "Plum Island," about a fictional detective investigating the murders of two biologists who worked at the lab, said in an interview with The Associated Press this week that he'd like the government to retain ownership. "The most obvious thing to do would be to make it into a federal park and nature preserve," he said. "You could turn the lab into a visitors center." DeMille is hardly nostalgic about the lab moving to Kansas, calling Plum Island "a terrorist target waiting to happen." His concerns were shared by federal officials. The U.S. Government Accountability Office told Congress in a 2007 security report that Plum Island's vulnerability was apparent after the 9/11 terror attacks. The GAO said new laws and rules were enacted, tightening access to the facility to help protect animal health and reduce the possibility of bioterrorism. 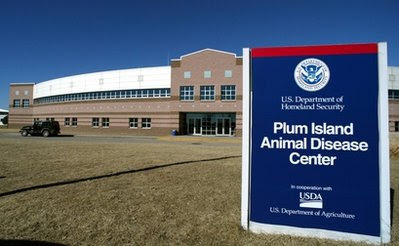 Plum Island was transferred from the U.S. Department of Agriculture to the Department of Homeland Security and plans were begun to replace it with a "higher-level biosecurity facility." The GAO said Plum Island scientists research such pathogens as foot-and-mouth disease, which is highly contagious to livestock and could cause "catastrophic economic losses" and imperil the nation's food supply. 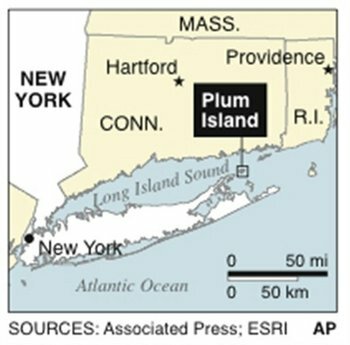 "Other pathogens known to have been maintained at Plum Island could also cause illness and death in humans," the GAO said. Amy Kudwa, a spokeswoman for the Department of Homeland Security, which operates the island, declined to provide specific details of security, but said it includes security patrols, checkpoints, cameras, radar, locks and fences. "The closer you get to the items you want to protect, the more intense the security becomes," she said. Before any discussions about development at Plum Island can proceed, officials must first determine the extent of any damage to the soil and water, environmentalist Adrienne Esposito said. "Any time a government facility is cloaked in secrecy, you have to wonder about what went on," said Esposito, executive director of the Citizens Campaign for the Environment. "The more you look, the more you find. This would be the first time a comprehensive examination of the island would be pursued." U.S. Rep. Timothy Bishop, whose district includes Plum Island, is not convinced the move to Kansas is a good idea. He said in a letter to a House homeland security subcommittee this week that the sale of Plum Island could fetch $50 million to $80 million — not counting cleanup costs. Bishop said that would hardly cover the costs of building a new $650 million lab in Kansas. "Before we cross a point of no return, I want everyone to open their eyes and look at what we're doing here," Bishop said. "Rather than pour hundreds of millions of taxpayer dollars down a sinkhole in Kansas and open the Pandora's Box of decommissioning Plum Island, we should ... make use of existing facilities that continue to serve this nation well." Last year, Congress appropriated $32 million for a new 520,000-square-foot National Bio and Agro-Defense Facility in Kansas, most of it for planning and design, though it did order a safety study. The new lab will allow research on diseases that can be passed from animals to humans, something currently not done at Plum Island. The safety study was prompted by some who questioned the wisdom of opening an animal disease lab in the so-called Beef Belt because hoof and mouth and other contagious diseases are researched by Agriculture Department scientists. But for now, the move to Kansas appears on track, which leaves the future of Plum Island an open question. The town supervisor in Southold, where the lab is located, said he would like to replace the 300 or so scientists working on animal research with some type of renewable energy center. "I'd like to keep a research component," Scott Russell said. "Another high-end subdivision development there seems unrealistic." Longtime north fork real estate broker John Nickles agrees with DeMille that the best use of the island would be as a nature preserve. "It's always had a type of stigmatization, especially if you listen to the idiots who speculate about what goes on there," Nickles said. "I have always thought it was a great addition to our community. Some people are happy to see it go, I'm not." Gary DePersia, a top real estate broker in the Hamptons on Long Island's south fork, said once issues concerning environmental cleanup are settled, the possibilities for the island are nearly unlimited. "It could make an awesome resort, with condos and room for a golf course," DePersia said. "We don't really have a major destination resort on eastern Long Island." Esposito, the environmentalist, said the island's current management may not be aware of possible transgressions from previous decades. "There could have been mishaps or illegal dumping or the unreported disposal of materials around the island," she said. "It's going to be fascinating to look and see what's there." On whether she thinks germ warfare research ever happened, Esposito said: "Rumors are rampant, but the evidence is scarce." The facility began as Fort Terry, established in 1897 as an artillery post during the Spanish-American War. It was used on and off until the end of World War II and was operated by the U.S. Army Chemical Corps from 1951 to 1954, when it was officially deactivated. In the book, "Deadly Cultures: Biological Weapons Since 1945," Piers Millett wrote in a chapter on anti-animal biological weapons that Fort Terry's mission was "to establish and pursue a program of research and development of certain anti-animal (BW) agents." John van Courtland Moon, an author and history professor emeritus at Fitchburg State College in Massachusetts, said his research has found that animal testing for germ warfare was conducted at Plum Island in the 1950s. "The problem is the stuff that went on is not available in the public record," he said. "Exactly what took place? I would imagine sheep, I would imagine goats and rats and rabbits" had been tested. A spokesman for the U.S. Army at Fort Leonard Wood in Missouri, where the U.S. Army Chemical Corps is based, said they were looking into the historical record but had no immediate comment. A spokeswoman for the U.S. Department of Homeland Security said the agency could not speak to the U.S. Army's time on the island. The current lab is focused on foreign animal diseases and emphasizes research of foot-and-mouth disease, she said. Ret. Col. David Huxsoll, a veterinarian who served as the lab's director from 2000 to 2003, said anthrax was among the diseases studied at Plum Island. "It was done in containment," he said, adding there were concerns anthrax could be used as a weapon to target the livestock industry. "If it ever broke out in the cattle industry in this country, it would be disastrous," he said. Associated Press Writer Cristian Salazar in New York City contributed to this report. 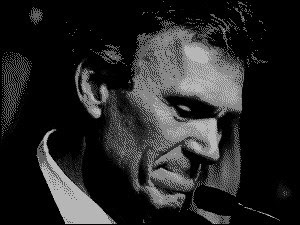 SvenVonErick — November 12, 2006 — Connecticut Officials and/or Yale University are allegedly involved in one of the biggest scams ever, involving Big Pharma, Corporate Fraud, racketeering, obstruction of justice, and running a state like a Mafia organization. A State and corporations should not be able to operate as a syndicate defrauding citizens and the world. The numbers tell the story. Kathleen Dickson shows the Patent numbers, the dates, and the percentages for accurate testing of Lyme Disease. Someone would have to disprove the math and all the claims that have documents to disprove her case. There is no personal attack or conflict of personalities when "just the facts ma'am" are produced. Applaud a woman sick with Lyme, a former research scientist at Pfizer for having the courage to speak out. She tool LymeRix off the market after testifying in front of the FDA. She has been retaliated against as a whistleblower ever since. You now have the facts, pass them on to others, let law enforcement know that you expect them to go after the bad guys. SvenVonErick — June 01, 2008 — Whistle blower to the FDA saves the taxpayer billions and averts the suffering of millions by helping take a dangerous drug off the market. Kathleen M. Dickson's reward for her public service was to be falsely arrested and to be held as a political prisoner. Her kids were removed. Lisa Masterson in the UK also has a scientific background, was also spied on by Connecticut corporate and official spy goons and also was falsely arrested, also confined in a mental institution for a time, and also had her children removed. Getting facts to the public should not end up in arrest and jail, there should be some type of humanitarian award with financial compensation given. In the past the Ku Klux Klan ran every aspect of a town and state's Police Departments, Legislature, Executive Branch, Courts, Prisons, where people could live, and controlled business. Organized Crime ran cities like New York. The power structures and money have morphed into what we have now. Allies now would make their Grand Daddies turn in their graves. 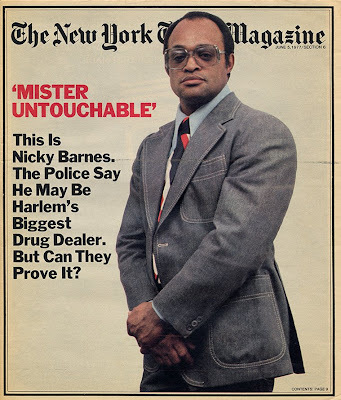 In the Nicky Barnes case and other famous one, as many as three quarters of the police force investigating drug crimes were on the take. Federal and State Governments must be using the same playbook. "... or shall conspire together for the purpose in any manner impeding, hindering, obstructing or defeating the due course of justice in any State or Territory, with intent to deny to any citizen of the United States the due and equal protection of the laws, or to injury any person in his person or his property for lawfully enforcing the right of any person or class of persons to the equal protection of the laws, or by force, intimidation, or threat to prevent any citizen of the United States ..."
I wonder if I, and other citizens abused in Connecticut by the Connecticut State Police, in the Courts, by DCF, and other authorities, violated by an organized bunch of lawbreakers paid with tax dollars, can be brought to justice using the Ku Klux Klan Act of 1871. Is there a link between Operation Paperclip, Lyme Disease, and Gulf War Syndrome, an alleged manufactured illness? The Coast Guard, brought to you by BP? Free Speech banned in Israel?